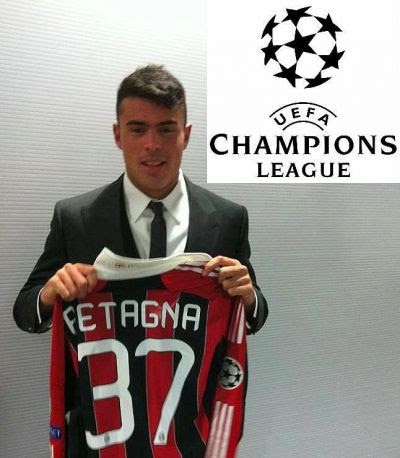 After celebrating his 18th birthday on Sunday, Andrea Petagna officially signed his first professional contract with AC Milan. Initially, it was announced that he and Cristante would join the first team this summer, then it seemed like plans might have changed. First it seemed he would stay on with the Primavera entirely, then there were rumors of being loaned to a Serie B club or possibly even sold in the transfer market. But with a little convincing of new Primavera coach Pippo Inzaghi, and the misfortune of Giampaolo Pazzini’s injury, Petagna will join the first team after all, at least through January, to cover for Pazzini. And since he is still so young, he will also be available for Inzaghi’s Primavera squad, too. It seems like Milan’s young bomber will get the best of both worlds this season. For Petagna, this must be a dream come true. For him, it has always been Milan. 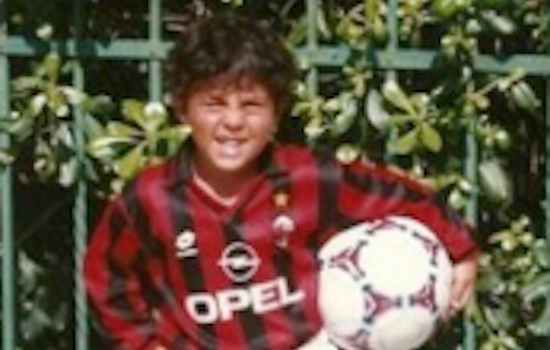 As a young child, and as a young footballer, he has always dreamed of the red and black. So imagine the chance he has now, at the young age of 18, to be included in the first team, even if he is unlikely to get much playing time. It's the chance of a lifetime, I am sure he will make the very most of it. Petagna is big, he’s 6’ 3” (1.91m.) But for him, it is an advantage, not a hindrance to his movement. He takes advantage of his size and uses it to dominate in the box, not only for Milan, but for Italy, as well. 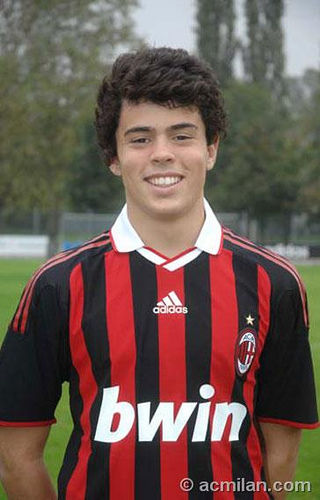 Having spent his entire youth career with Milan, he also has been capped for Italy’s U-16, U-17, and U-18 squads. 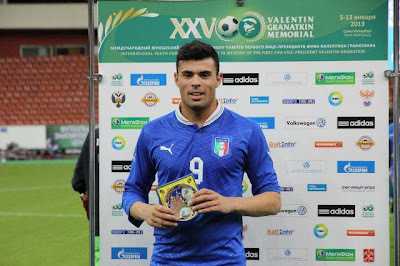 In fact, at the Valentin Grenatkin Memorial Tournament in January, Petagna was awarded the MVP award for the match against Belgium. 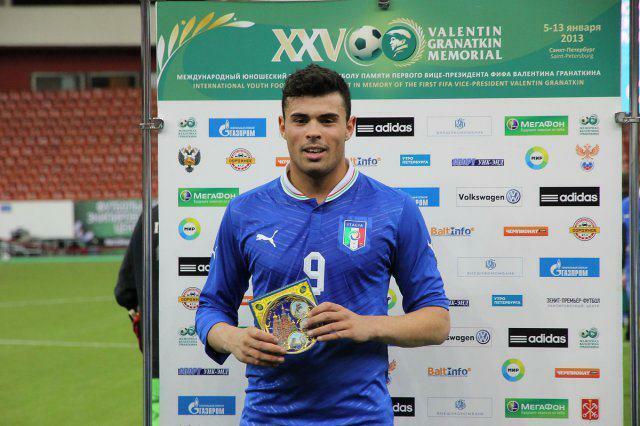 He scored 3 goals this season for the Azzurrini. In the youth squads, he has grown and begun to dominate as a striker. His goals have often been decisive, and he started to stand out amongst the other players, and not just because of his build. 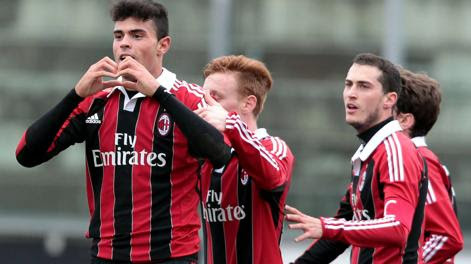 This season for the Primavera, he scored 13 goals. He also had the distinction to be called up to the first team this year, and made a very brief debut during a Champions League match vs. Zenit in December. I can see why Inzaghi would argue his case to keep him around Milan. He’s got a great eye for goal and that killer instinct of a poacher. But even if his skills exceed his reputation, he will find himself behind the likes of Mario Balotelli and Niang for a starting spot. Coming from the Primavera squad, where he earned Milan News’ Best Under 19 Player award, he will have his work cut out for him to get any time with Milan’s stacked strike force. It is a challenge I am sure he is looking forward to. 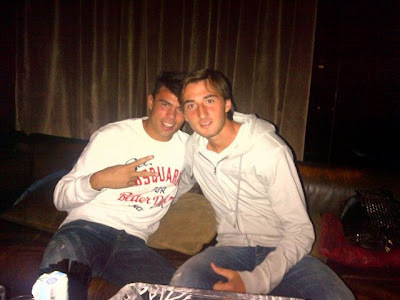 He also cited Bryan Cristante as his best friend and roommate, which is fitting that they will both join the first team together. I for one hope that he more than lives up to his hype, settles in, works hard, and is able to stay with the first team. It is always great to have homegrown heroes, and even more fun to see a young bomber get his chances and score for the club of his dreams. Benvenuto, Petagna!